as the wine cork turns: cinco de friday. well dang it's friday already. not that i'm complaining or anything because this has been a week from you know where. blogging got put on the back burner the past few days because i've been working out after work, then commuting home, then tag team cooking dinner with lee, then i just want to freakin' relax. 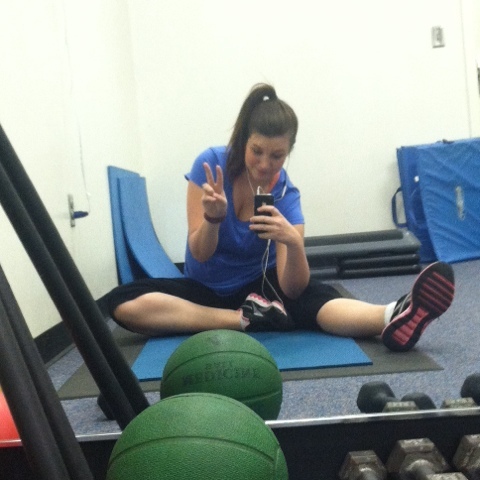 i don't get off work until 5:30 and luckily my gym is across the street so i have no excuses. but by the time i get in, get stretched, and then get in 45 mins to an hour of working out, i'm barely beating the clock home to eat before 8pm because my house is about a 30 minute drive from work. i do enjoy the city more than anything though. speaking of working out, i have been killing it. well killing it to best of my ability which basically means not letting this stair stride like machine kill me instead. also this week, i made cauliflower "wings" using that recipe. 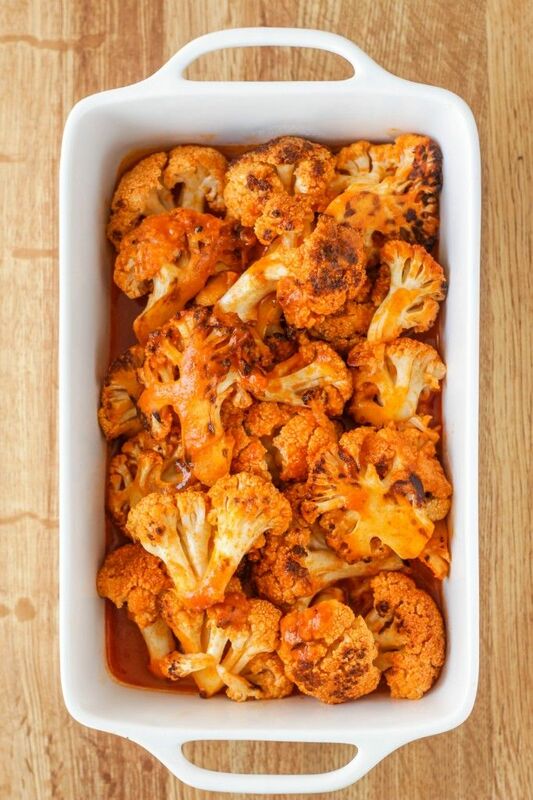 i'm not the biggest cauliflower fan, but cover that in hot sauce and roast them and i'm all about it. next on my to-do list with this veggie is cauliflower "fried rice" and cauliflower mash. so this is the inside of our living room. these terrible plaid curtains came with the house and have been okay for the time being while we organize other things, but i'm ready for some new ones. but good lord, how do you even get up there to remove these suckers? anyone have a ladder they want to ship to charlotte? 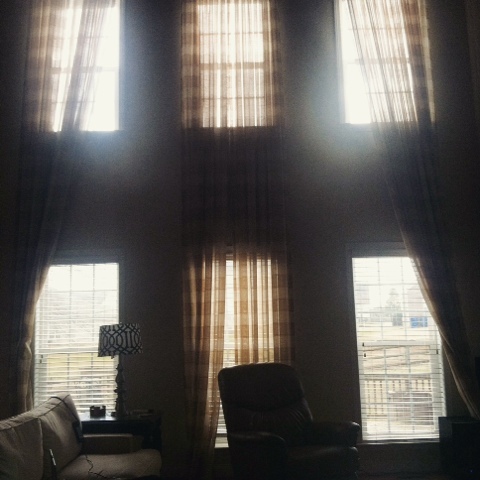 i'm envisioning long, sheer, wispy off-white curtains to keep most of the natural light in the room. during the day we don't even need lamps or overhead light. next on the big list of things amanda needs to finish is a couch. a big ol' u-shape couch. 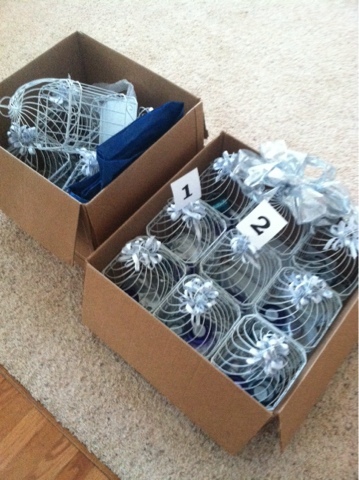 for our centerpieces for the wedding, i'm doing something with birdcages. there's already a massive one at our venue that i fell in love with. i found 14 white birdcages for only $100 bucks on craigslist. craig and i have been bff lately! these are typically around $10 - $15 a cage so i'll consider that a deal. i'm taking the awful bows off, and spray painting them our four different colors. 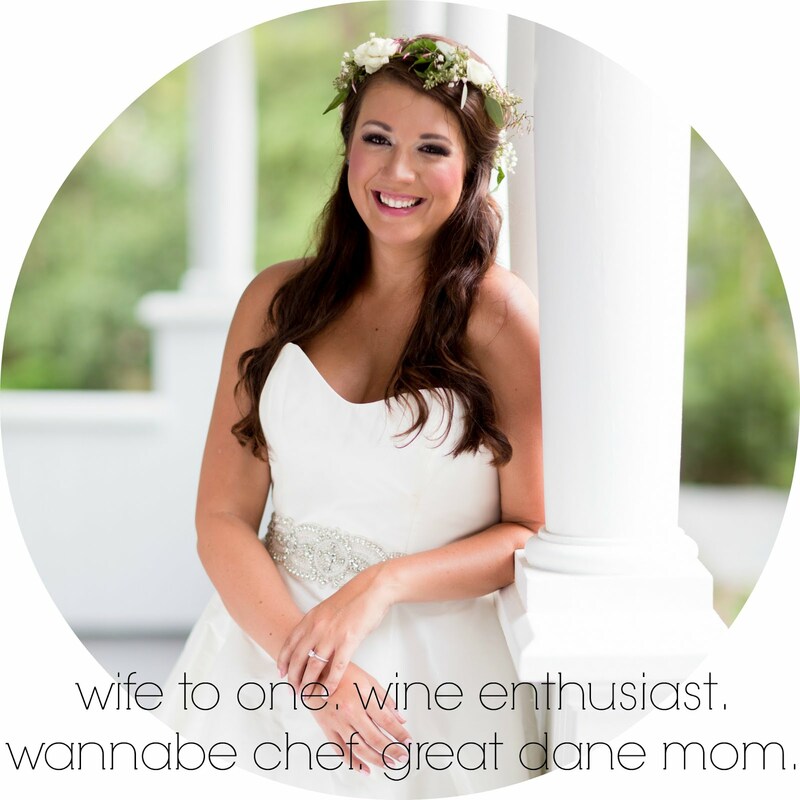 fingers crossed they sell after the wedding because i don't need 14 of these suckers! 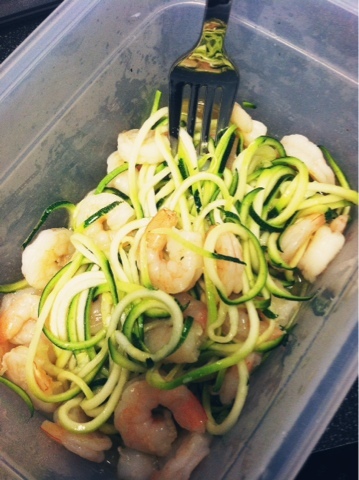 and finally, of course there's something about zoodles. i will admit, zoodles are definitely the best tasting right after you cook them in a pan. however, i was making the mistake of cooking them the night before and reheating for lunch the next day, making them extra mushy. nothing described as mushy is ever good. so one day this week, i decided to sprialize zucchini the morning of and leave them in a separate container while raw. when it came time for lunch, i pour some of my evoo & lemon juice "sauce" over them, and microwaved until hot. they pretty much kept the texture they're supposed to be. i was pretty happy. zoodler fo life. amen to friday and amen to sleeping in tomorrow. i slept 13 hours the other night and that clearly wasn't enough. here's to catching up with a lazy weekend.